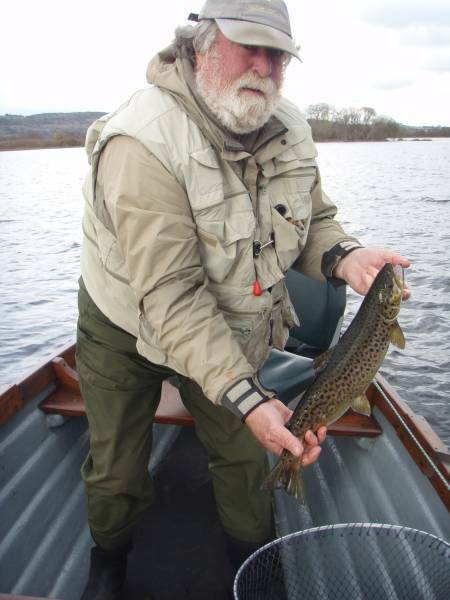 Welcome to Grasshopper Cottage Fishing Lodge & Angling Centre, the perfect base for fly fishing on Lough Corrib for wild brown trout. B&B from €30-45 per person with hire of boats, engines and gillies on offer – full details here. Grasshopper Cottage is the home of Roy and Sorcha Peirce , who have been welcoming guests for over 30 years, and look forward to meeting you. Situated on the Dooras peninsula, 3km from the village of Corr na Móna, in north-west County Galway, the Cottage is an ideal location to relax and enjoy the scenery of Connemara or engage in a variety of outdoor activities including walking, cycling, horse riding and golf. The area, also known as Joyce Country (Dhúiche Sheoigheach), is rich in sites of natural and cultural heritage.